Swahid Peoli Phukan College, Namti. The age of a candidate should not be more than 38 years as on 01.01.2016 and relaxable upto 5 years for SC/ST candidates. The candidate must have a PRC and must know local languages. Application with bio-data and all relevant documents along with a Demand Draft of Rs. 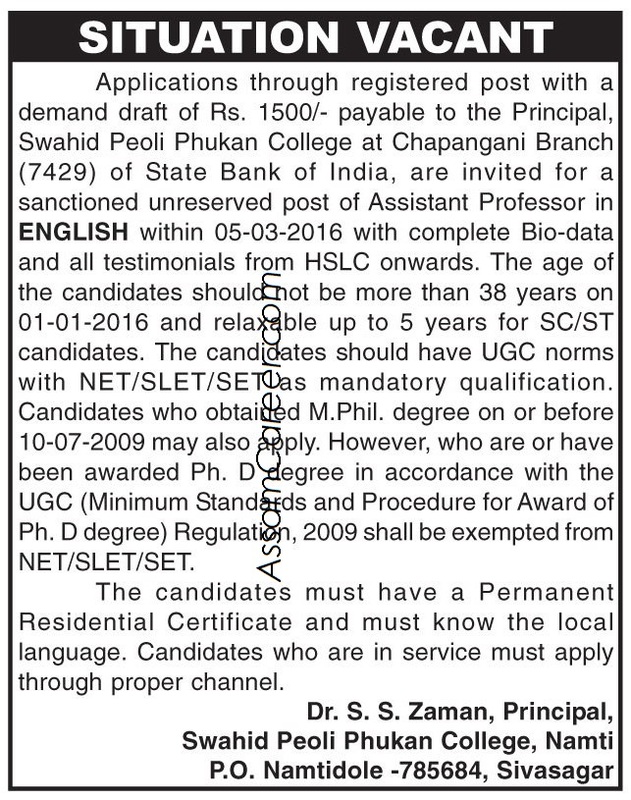 1500/- (non- refundable) drawn in favour of the Principal Swahid Peoli Phukan College, Namti, payable at SBI, Chapangani Branch should reach the undersigned within 05-03-2016.